My return to blogging and a toddler bedroom reveal – yay! 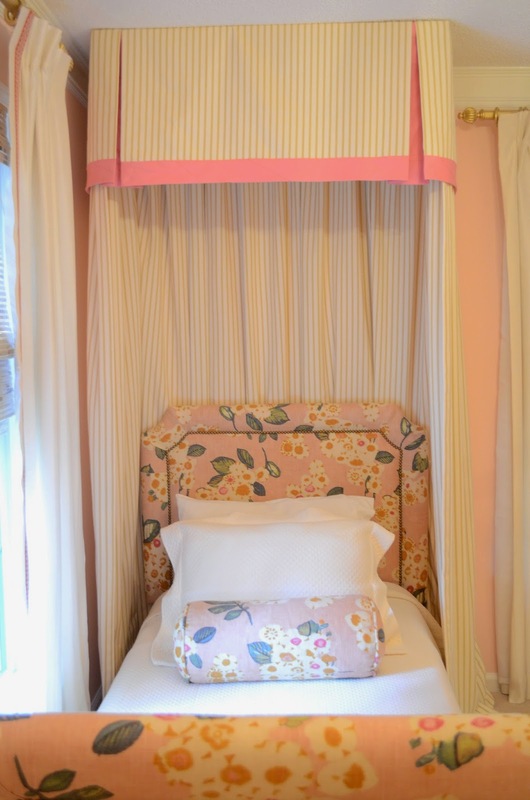 06 Aug My return to blogging and a toddler bedroom reveal – yay! My summer has been absolutely wonderful. I’ve been having so much fun working with my awesome clients, but have been mostly spending time outside with my 15 month old, Henry. It’s been fantastic to spend the sunshiny days … just me, Henry, and David. Now, with the fall approaching, I have got some super fun projects to share with you guys. This has been one of my favorite projects. Ever. 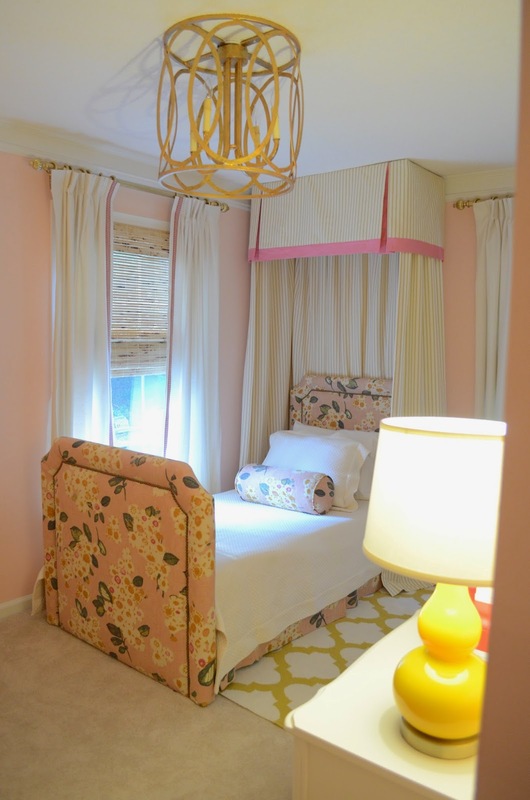 Maybe it’s childhood memories or just my super-girly-girl side, but creating a room fit for a modern princess was just too. much. fun. It was time to give the lady of the room, a beautiful 2 year old, her own bed. Her nursery was already lovely, but with a baby brother on the way, it was time to give up her lovely iron crib and transition to a toddler space. 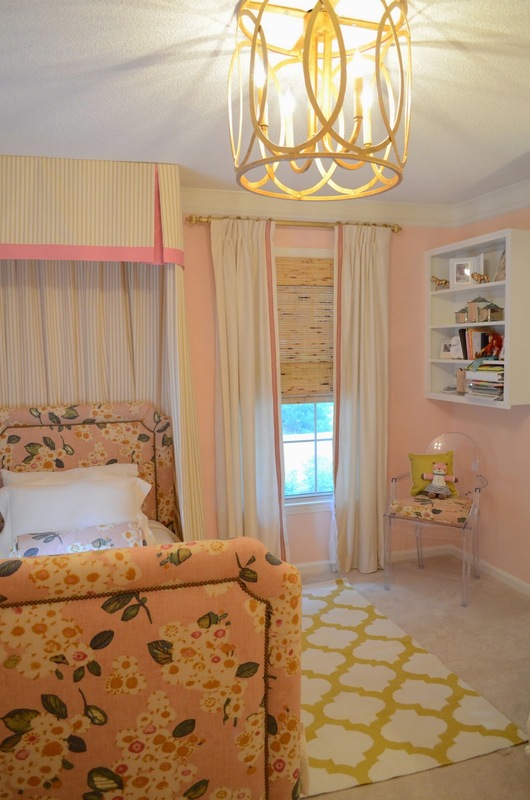 Her mommy and I had so much fun creating this room, and I have been dying to show it to you. Maybe you all saw my sneak peek on Instagram??? I mean, have you ever dreamed of sleeping any where more than here? 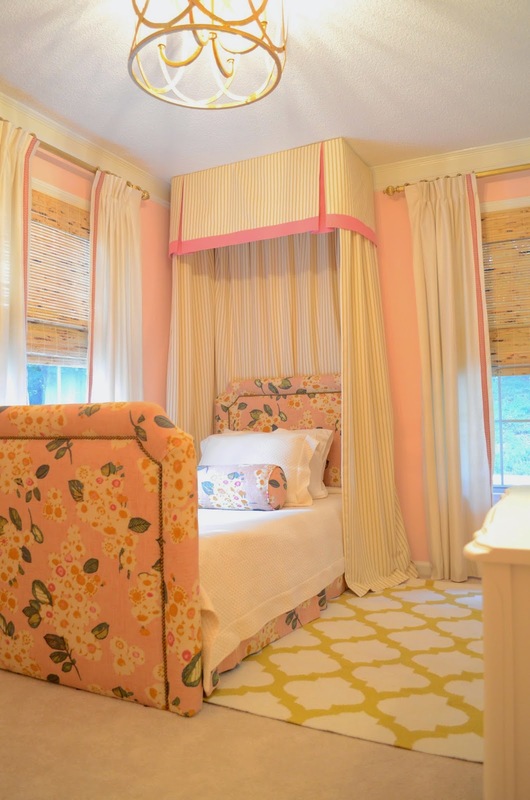 We were able to use many pieces from the nursery…the window treatments, most furniture pieces, the drapery rods. But a fresh coat of ballet slipper pink paint on the walls made this room glow. 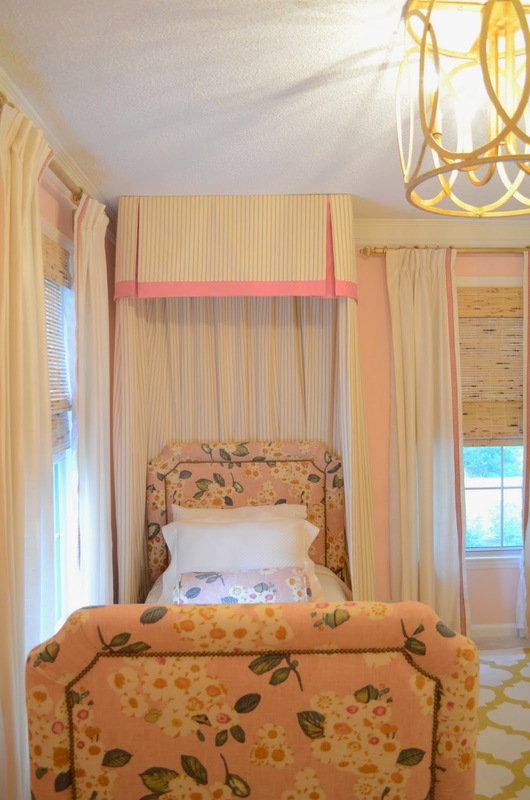 The gold accents keep things modern, and the fabric pairings (silk drapes, a ticking bed crown, and a gorgeous pink dusty pink floral) nod to the classics. Pink and cream with hints of mustard gold and green = Too FUN! I am pretty sure that a ghost chair fits in most any room. A few sweet art pieces bring in a classic black accent. 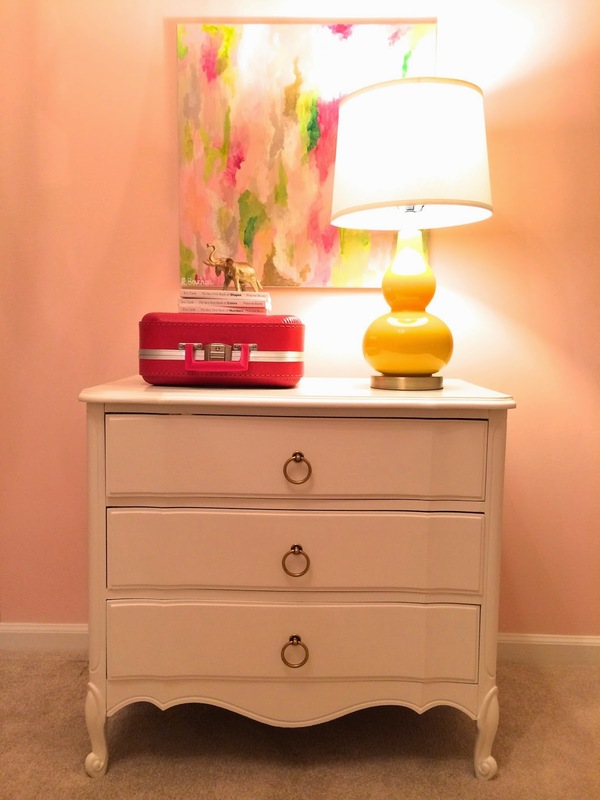 Paintings matted in white on white keep things both clean and add a personal touch. I love this preppy yellow gourd lamp! A built in book shelf provides the best spot for those little girly treasures. My dear friend, Renee Bouchon, painted this gorgeous piece of art for the most fun pop of the abstract. Check out her amazing work here. Hope you enjoyed this pretty space as much as I enjoyed making it come to life!